Procedure is done with a single use, sterile needle attached to an automated pen. The treatment allows for controlled induction of PRP, growth factor serums, or hyaluronic acid, into the skin’s self-repair process by creating micro injuries in the skin. These injuries stimulate new collagen production, while not posing the risk of permanent scaring. The result is smoother, firmer and younger looking skin without the side effects or downtime of cosmetic surgery and lasers. Microneedling for scar reduction from acne and injury can help restore the skin to a more youthful appearance. 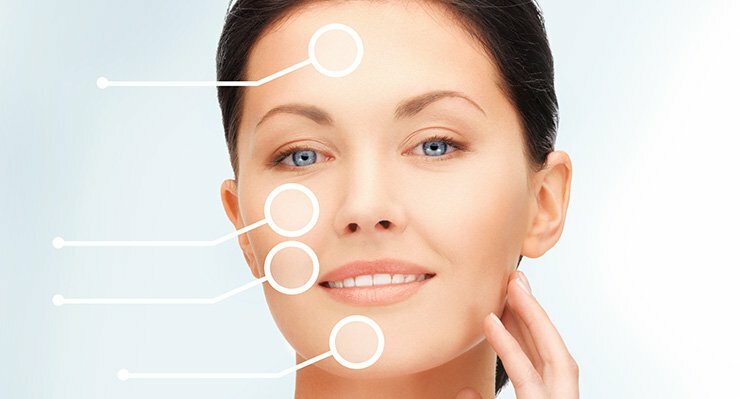 Microneedling benefits also include a reduction in wrinkles and fine lines. How does Micorneedling improve the skin’s appearance? Microneedle pen rapidly creates a pattern of micro channels in the treatment area. These micro channels significantly increase the production of collagen and elastin to leave the skin smoother, fresher, and more uniform. Micro channels also enhance the skin’s ability to absorb medical grade topicals like PRP and hyaluronic acid applied during or immediately after the treatment. The microneedling is done with a single use, sterile applicator needles attached to an automated hand held needle pen to create controlled depth micro injuries to the skin. A thin layer of PRP or other topical agents will be applied and the pen will be gently pressed and glided across your face. Some areas are more sensitive than other, the application of the numbing cream before the treatment reduces the discomfort. You may experience the feeling of “sandpaper” being moved across your skin. You will notice visible changes over the course of several days and weeks. Your skin will continue to regenerate and improve up to 6 months. Since Platelet-Rich-Plasma (PRP) is used, please review the contraindication on the PRP page. It is best to allow yourself time to heal. You may experience mild redness, bruising and and/or swelling at the site of injections (s). Swelling resolves in 24-48 hours but a bruise can last up to 2 weeks for some people. Regular activity can be resumed the next day. Please follow the Post-Procedure handout for optimal results and to minimize side effects. Call our office at 760-944-9300 and let us Transform Your Skin!